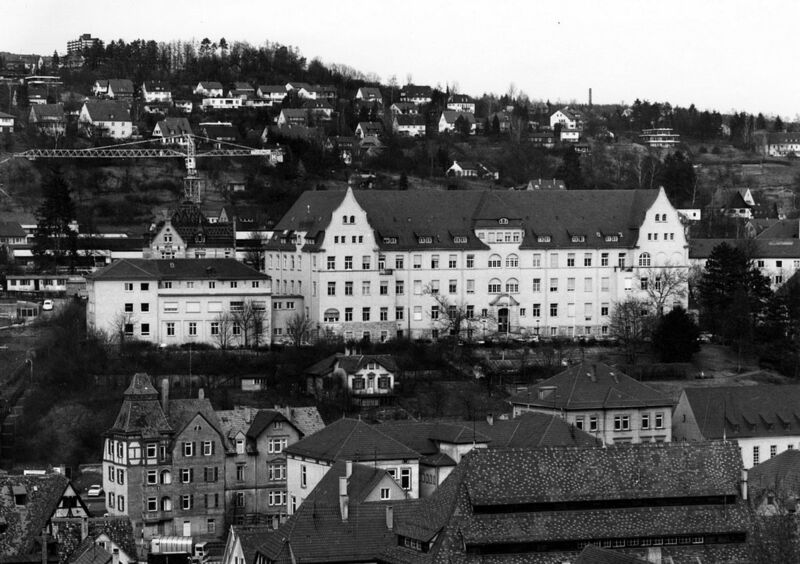 On January 1st, 1909 the „Royal Wuerttemberg Eye-Clinic Tuebingen“ opened its doors, momentous occasion for a comprehensive look back on 100 years history of ophthalmology and vision research in Tuebingen. 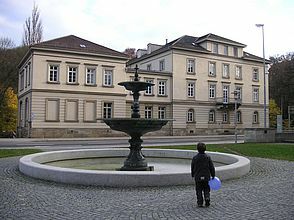 From the beginning Tuebingen developed as an important centre of eye care and research within Germany and throughout Europe. Even in the ancient world there were doctors that dealt primarily with diseases of the eye and significant developments were made in times before the term ophthalmology was known as it is now. One only has to think of Jacques Daviel (1696-1762) from France performing the first extracapsular cataract extraction in the middle of the eighteenth century. The introduction of Trachoma (Ancient Greek: "rough eye") to Western Europe as a consequence of the Napoleonic Wars in Egypt (1799) caused a significant increase in eye infections so that an increasing number of primarily dependent ‘ophthalmic branches’ within existing clinics were created. The invention of the ophthalmoscope in 1851 by Hermann von Helmholtz (1821-1894) enabled recognition of changes inside the human eye that until then had been unclear and subsumed under the definition „Black Star“. This increase in diagnostic ability accelerated the separation of ophthalmology from surgery, which had started around the year 1800. Ophthalmic experts such as Albrecht von Graefe (1828-1870) followed this trend and private eye clinics were set up. The enormous new knowledge had to be communicated so that the first ophthalmologic journals were published (e.g. Graefes Archive for Ophthalmology 1854, Klinische Monatsblätter für Augenheilkunde 1863) and in addition, the first professional associations were founded (German Ophthalmological Society 1857, formal foundation 1863). Due to the efforts of Julius Jacobsohn, scholar of Graefe and later Professor in Koenigsberg (1828-1889), ophthalmology became an independent university examination subject. The article of Jacobsohn, entitled ‘Ophthalmology in the Prussian Universities - A Cultural Emergency’ published in 1868 still makes an interesting reading and was instrumental in ensuring after the establishment of the German State in 1871 that all university medical faculties existing at that time created a Chair for Ophthalmology and also established new university eye clinics. The creation of the University Eye Clinics represented within the German state borders the conclusion of the establishment of ophthalmology as an independent faculty. 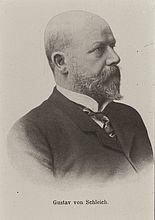 Albrecht Eduard Nagel (pic. 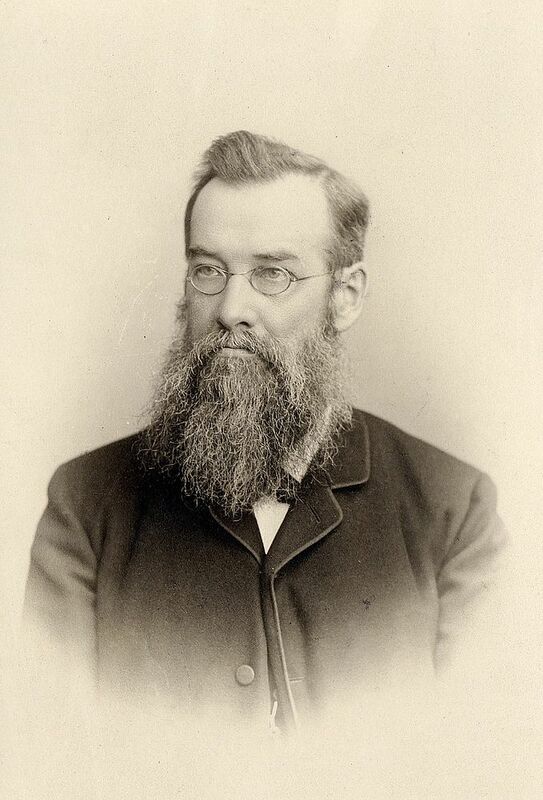 1) was called as the first professor of ophthalmology in 1874 in Tuebingen. 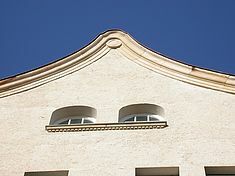 The first building of the university eye-clinic located in the Wilhelm Street is still used by the Eberhard-Karls University administration and can be visited (pic. 2). After the death of Prof. Nagel in 1895, his successor Gustav von Schleich (pic. 3) quickly saw that the existing eye clinic with its 40 beds had become too small. Not only medical developments but also the introduction of health insurance by the chancellor Otto von Bismarck (1815-1898) in 1883 meant that increasingly more people had access to healthcare in the State of Wuerttemberg, which was ruled at that time by the King Wilhelm II. 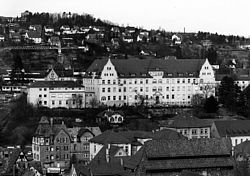 Therefore Gustav Schleich together with the State Building Minister Albert Beger planned the building of a new clinic on a hill on the edge of the old town. 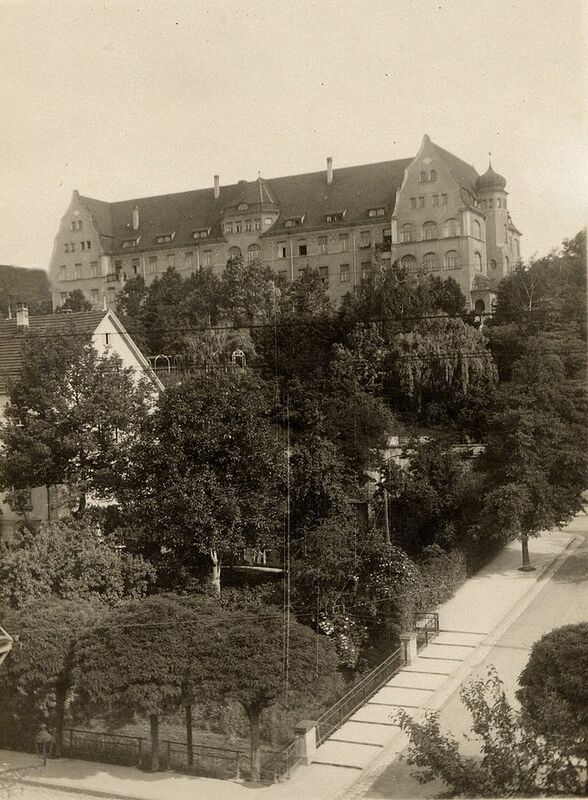 After the finances had been approved in July 1905, building started in April 1906 and on the 1st January 1909 the „Royal Wuerttemberg Eye-Clinic Tuebingen“ opened its doors (pic. 4). The University Eye-Clinic in Tuebingen is now 100 years old. (1) The alignement of the axis of the building in an east-west direction for (now irrelevant) lighting reasons, (2) The division of day and stationary patients, teaching, research and housekeeping through horizontal and vertical alignment of the building with separate entrances, (3) The decentralisation of the supporting functions, i.e. the location of the kitchens, laundry and heating directly in the clinic, (4) The establishment of laboratories, and finally, (5) The arrangement of expansive gardens. Pic 6: Eye Clinic Tübingen with extension to the west (left of picture), about 1965. The outside of the building has not changed since then. Gustav Schleich described in detail the building of the new clinic in the „Klinische Monatsblätter für Augenheilkunde” in 1909. 32 employees, including 8 doctors took care of up to 110 stationary patients. The Eye Clinic in Tuebingen survived both world wars without major destructions. At the end of the 1920’s, an extension was added to the west of the building (pic. 6). Space had been left for this in Schleich’s original plans and now houses the neuro-ophthalmologic department. Apart from this addition, the outside of the clinic has hardly changed and is now preserved as an historical building. Significant changes have been made inside the building to adapt the rooms and technology according to modern requirements. Most of the supply areas that once had been in the clinic were moved to other buildings. Thanks to the vision of Gustav Schleich the eye clinic building still fills many of its objectives today. Because of the large increase in patients and the expansion of research over the last decades, there is a dearth of rooms so that the clinical and research departments have had to be outsourced. In order to countermand this fragmentation and to ensure that the patients have rooms with modern sanitary standard, a new building will be necessary in the coming years and planning and funding is already underway.